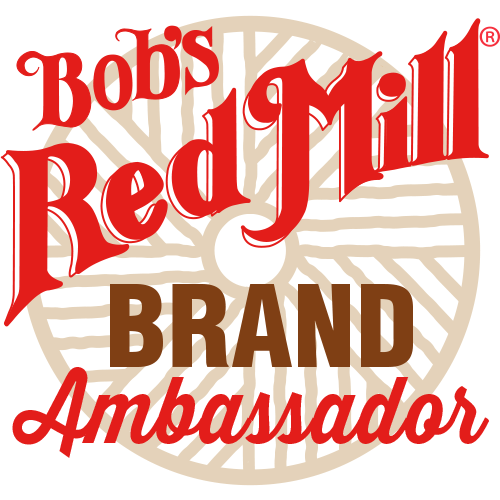 I’ve got another yummy treat for the recipe contest, put on by Go Dairy Free and So Delicious! I already entered my recipe for gluten free vegan cinnamon roll sugar cookies. Have any of you tried them yet? 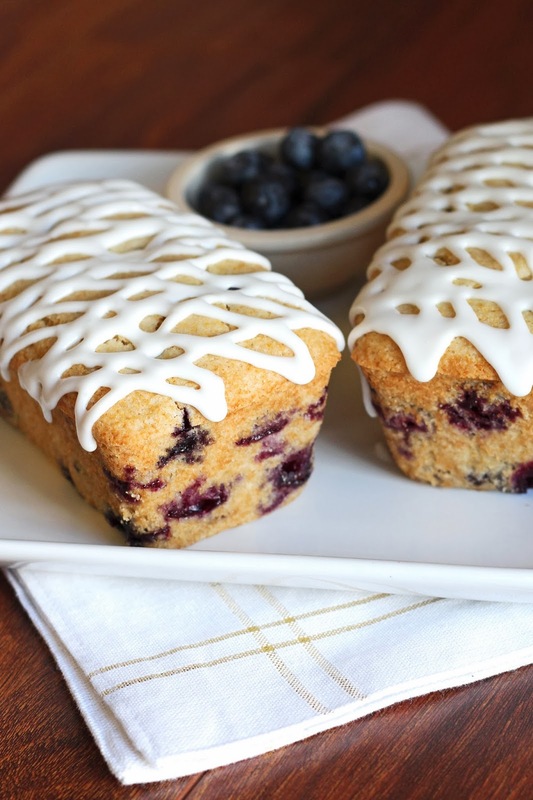 They are simply irresistible, just like these crazy good lemon blueberry cakes. 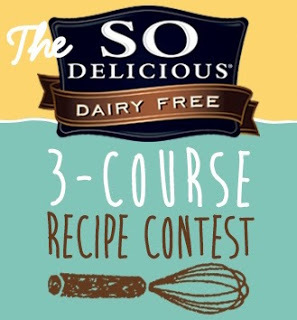 You can check out all of the recipe entered into the contest over at the So Delicious Dairy Free Recipes board on pinterest! Preheat oven to 350 degrees. 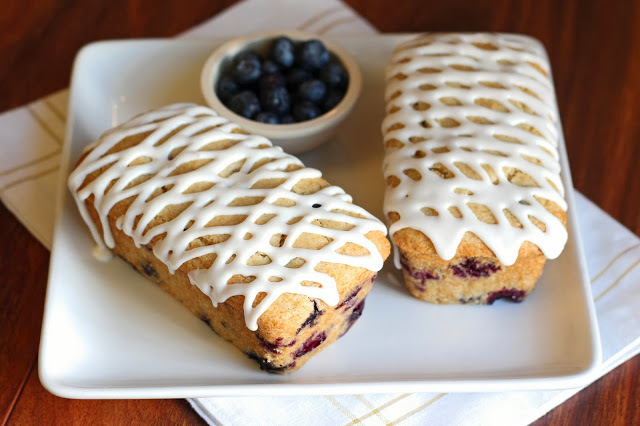 Prepare mini loaf pan by spraying with cooking spray or lining with parchment paper. Coat blueberries with 1 tablespoon of flour and set aside. In large mixing bowl, sift together flour, baking powder, baking soda and salt. In separate bowl, mix together coconut milk and lemon juice. Let sit for 5 minutes to curdle. Add sugar, applesauce, oil, lemon zest, vanilla and lemon extract. Pour over flour mixture and stir to combine. Fold in blueberries. Pour batter into prepared mini loaf pans. Bake for 28-30 minutes or until toothpick inserted in center comes out clean. Allow to cool in pan for 10 minutes before removing from pan. Continue to cool on cooling rack. To make glaze, mix together powdered sugar, coconut creamer and lemon juice. Drizzle over cooled lemon cakes. Best served within 1-2 days. *If using frozen blueberries, you may have to increase the baking time by 4-5 minutes. If I don't have mini loaf pans, would the recipe work if I used one regular sized loaf pan? Kathrine, I've never made these in a regular loaf pan, so I'm not sure if the batter is too much. You can make it and pour it into the pan until 3/4 full. If there is leftover batter, make into muffins. Bake loaf for 50-55 minutes or until toothpick inserted comes out clean. Yum! I haven't made mini-loaves before but this would sure be cute for Easter presents! These look delicious Sarah! Can't wait to give them a try for Easter! Can I replace the lemon oil or extract with extra zest or lemon juice?